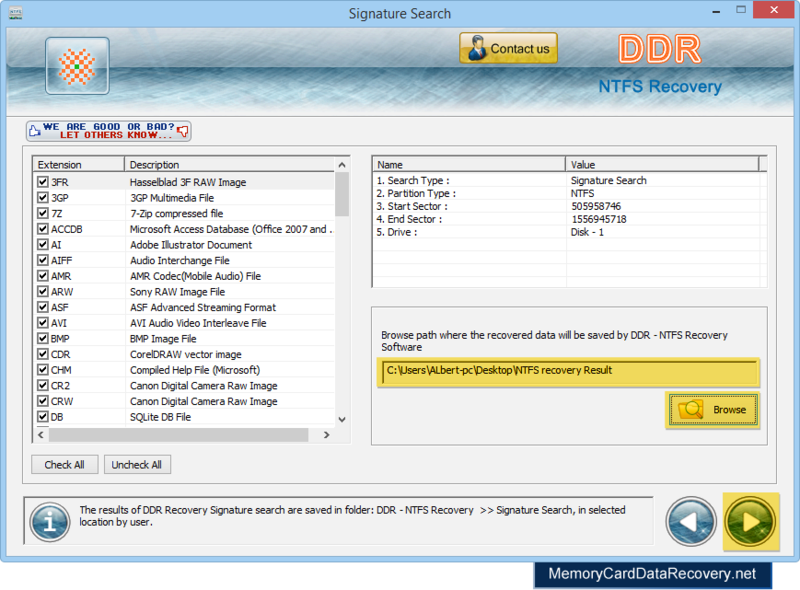 To recover lost files, software provides three searching modes. Select any one searching mode according to your requirement. 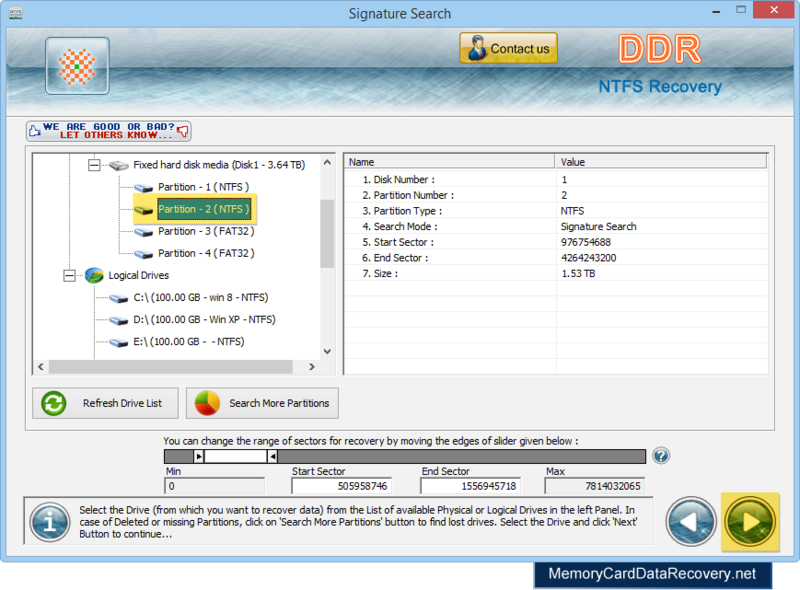 Select partition (from left panel) from which you want to recover lost files and click 'Next' button. 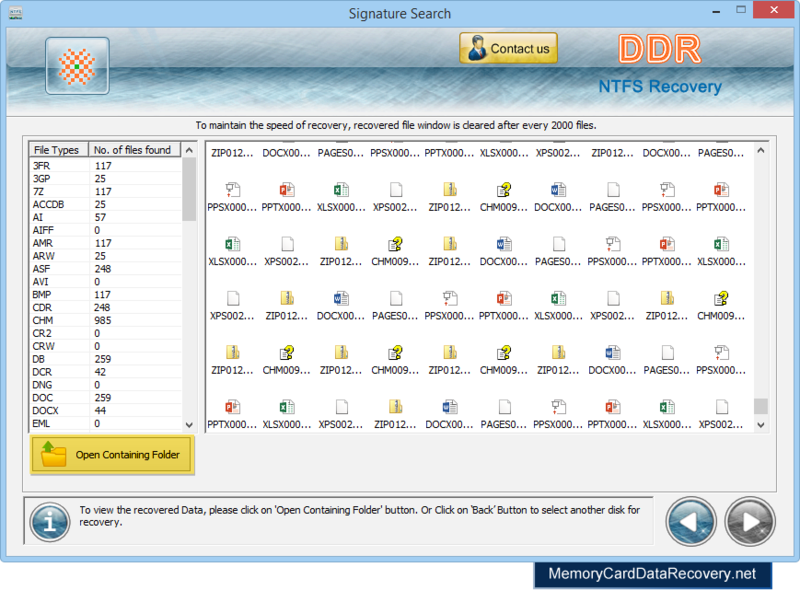 Browse path where you want to save recovered data files and click Next button to proceed. Data is recovered successfully. 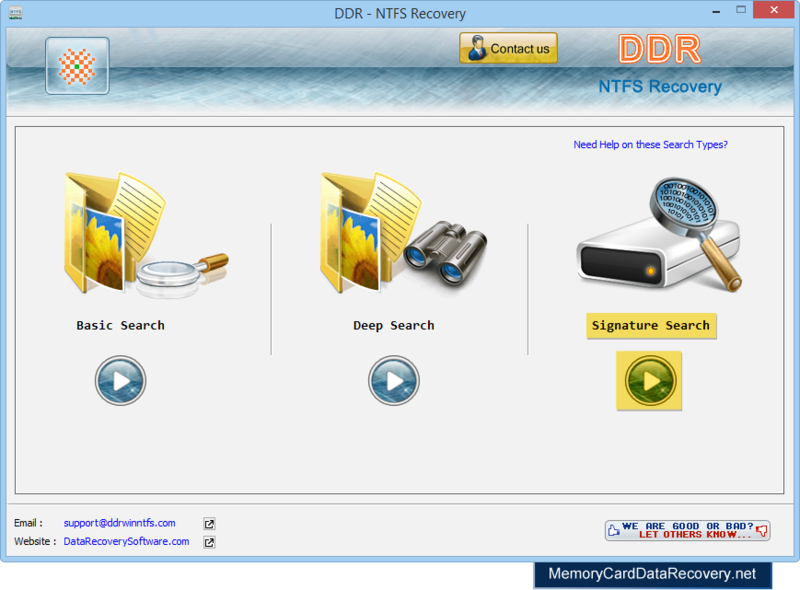 To view recovered files click on Open Containing Folder button.